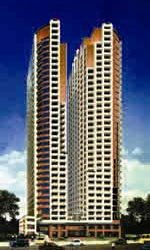 Skyway Twin Tower’s is located at 351 Henry Javier Street, Oranbo, Pasig City. Among nearby school for children are St. Paul Pasig, Lourdes School and Sacred Heart Academy of Pasig just minutes away. Nearby malls are Megamall, Podium, Shangri-la Plaza, St. Francis Malls, and Robinson’s Galleria accessible for shopping and dining convenience. Medical City is only 5 to 10 minutes away for medical needs. As we are on the threshold of ushering in a new millennium. We likewise recognize the myriad demands and needs of modern-day living. It is towards serving these demands and needs that the SKYWAY TWIN TOWERS was conceptualized. In short, the SKYWAY TWIN TOWERS offers the answer to the multifaroius problems and attendant needs of a rapidly burgeoning metropolitan life. Its structural configuration, features, facilities and amenities have all been carefully planned out and designed to provide ease, convenience, comfort, safety and resiliency. All these serve to complement the grandeur, beauty and grace of its architectural design created by leading practitioners in the field. The SKYWAY TWIN TOWERS has also been designed as a purely residential edifice so that its goal will be confined to serving solely the common and homogenous needs and requirements of its residents, thereby maximizing the beneficial values of its use. This further enhances the privacy of residents. The same can never be true for buildings designed for mixed use. However, the ground floor and the second floor has been designed for commercial use which will provide additional support for its residents daily needs. The SKYWAY TWIN TOWERS is situated in a much-sought-after site which is very near the University of Life and the Valle Verde Club. It will thus combine the luxury of condominium living with the exclusivity and privacy characteristic of subdivision living. Furthermore, the prime and strategic site brings within arm’s reach an aggrupation of shopping malls and supermarkets, banks, shops, and services outlets all ready to serve one's daily needs. Truly, the SKYWAY TWIN TOWERS has been visualized by its proponents as the practical answer to the exigencies of 3rd Millennium living.